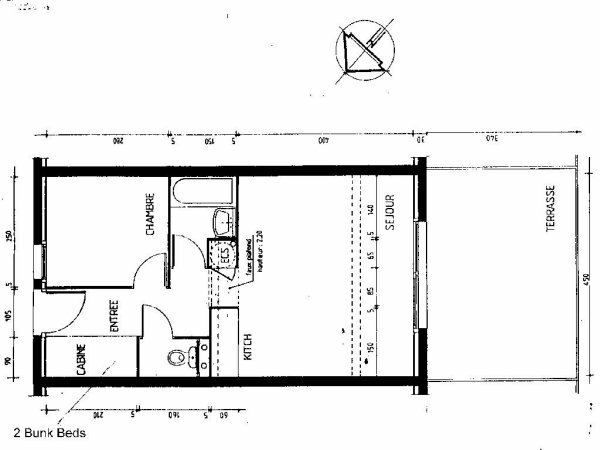 This plan of No 8 Résidence Horizon is oriented with the top as South East. Thus the entrance is from the North East and the Terrace is facing South West over the sea. The inventory has translations of the french room names into english.